On the door Concession: GBP 12. COLLECT, the leading international art fair for contemporary objects, will present contemporary design works from some of the world's leading craft makers and artists. 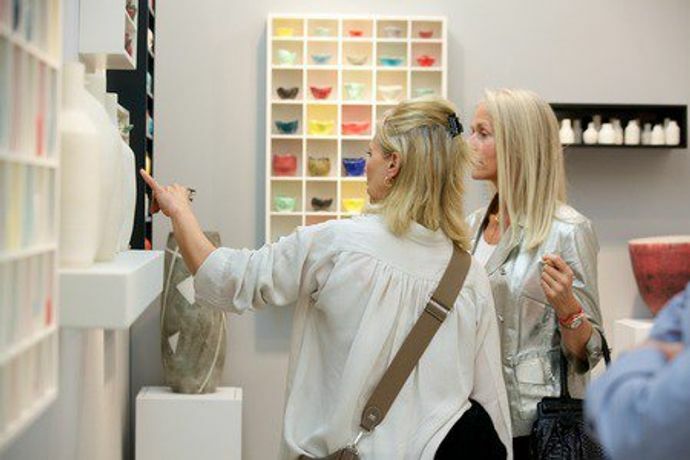 The fair, presented by the Crafts Council, brings together the world's finest galleries representing exceptional work of museum-quality from their portfolio of artists. International galleries and selected artists come together at the Saatchi Gallery, London. Rosy Greenlees, Executive Director, Crafts Council, says: "COLLECT is at the heart of the Craft's Council's mission to make the UK the best place to make, see, collect and learn about contemporary craft. It is a flagship event for us and continues to go from strength to strength." Daniella Wells, Show Director, COLLECT 2015, says: "Now in its 12th edition, COLLECT continues to be the place to see, and purchase, the very best UK and international craft. With sales exceeding GBP 1.7million in 2014, it promises to be an exemplary showcase for exhibiting galleries from around the world, and the launch of COLLECT Open this year also provides the opportunity to encounter new talent and trends." Last admission 30 minutes before close of show. Groups of 10 or more benefit from concession rate entrance of GBP 12 per person, with the group leader receiving free entry and a catalogue. Bookings must be arranged in advance by contacting Amy Emmerson-Martin: a_emmerson-martin@craftscouncil.org.uk / 0207 806 2520.